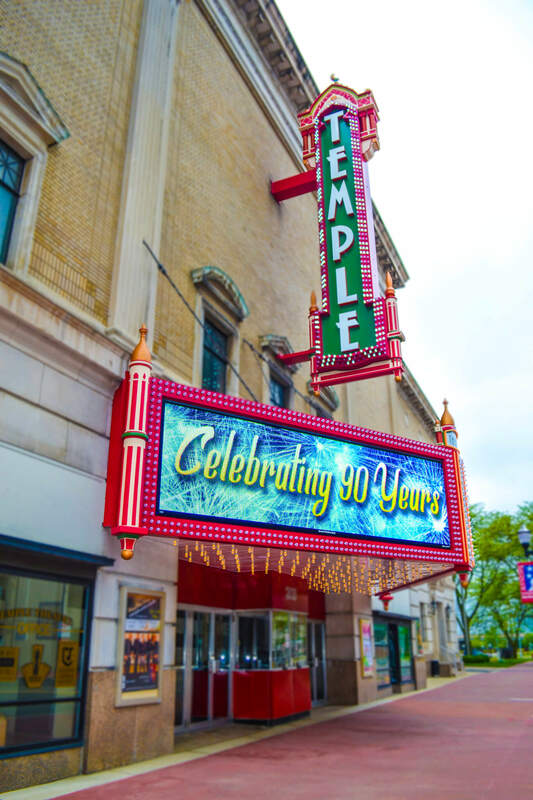 The Temple Theatre – known as the “Showplace of Northeastern Michigan” – is one of Saginaw, Michigan’s most distinguished buildings. With seating for 1,750, the theatre has been graced by legends ranging from B.B. King to George Carlin. It is home to the world’s only Barton Butterfield Special organ in original condition. The Temple Theatre was completely renovated by the Shaheen family in 2002. The Temple Theatre was built in 1926 after the city’s previous concert hall was lost to a fire. The new theatre was a technological marvel featuring fireproof construction, geo-thermal cooling of the auditorium, spectacular acoustics, and state of the art stage rigging and dimming systems for the lights. The programming of the theatre was a combination of live Vaudeville acts and silent movies accompanied by a ten-piece orchestra. The theatre was also equipped with one of the 12 Butterfield Special Barton Pipe Organs; #195 was built specifically for this theatre. As time passed, the theatre experienced a decline in the interest of vaudeville. Patrons tastes were changing to the sounds of big band, wide screen motion pictures, and live national appearances. Several people tried to revive the facility but despite their efforts, the Temple was weakening at her 75th birthday thanks to a failing boiler system. The roof was deteriorating, crumbling plaster appeared along the stairways, and the seats and carpet were torn. The electrical system, from 1927, was not large enough to handle the amount of electricity required to operate the theatre. One more winter would have drained the Temple of its lifeblood. The theatre known as the “Showplace of Northeastern Michigan” was facing demolition. 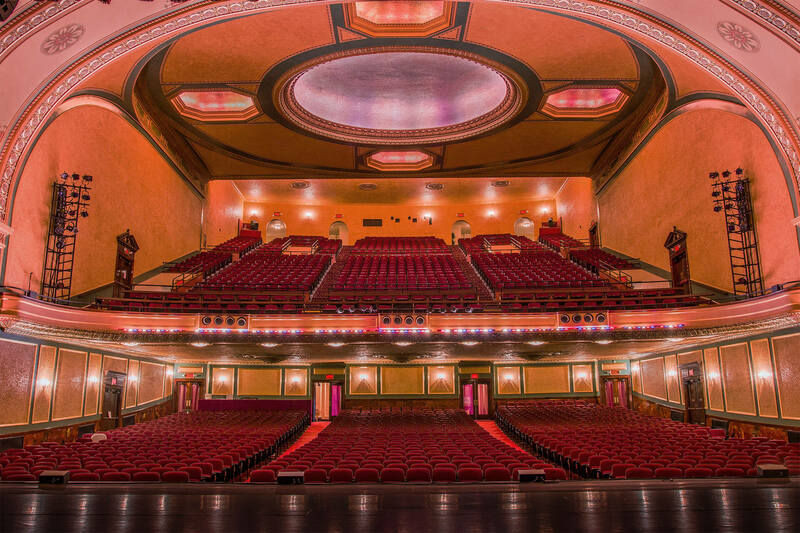 In 2002, the family of Dr. Samuel Shaheen purchased the Temple Theatre and the adjoining three story building which contains a Grand Ballroom, Premier Room, Leopard Lounge and a commercial kitchen. After an investment of more than seven million dollars, the “Showplace of Northeastern Michigan” has been returned to her original glory. For more information about the Great Lakes Bay Region, including other area attractions, entertainment, and lodging options, please visit GoGreat.com. For detailed information about the facility, click here.